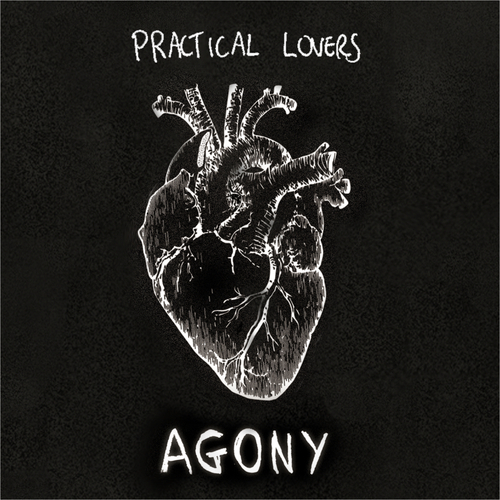 On their debut LP, ‘Agony’, melancholy synth-pop duo Practical Lovers juxtapose warm, vintage synths and analogue drum machines with fuzz drenched bass guitar. Their stark sonic landscape, coupled with Jack Wiles’ poignant lyricism indulges the listener with unbridled emotion, creating a mirror which reveals the bleakest moments of modern life. Agony is set to be released digitally through I’m Not From London Records on Friday 27th November and will be released on limited edition cassette tape towards the end of the year. At it’s most basic ‘Agony’ is a collection of love songs. ‘No Reply’ deals with the frustration and anger of unrequited love, whereas songs like ‘Full of You’ (video filmed on their recent Japanese tour) and ‘Inside Job’ are love songs disguised as laments – they may seem like they are about sadness and depression but actually they are about how powerful a love can be to create these feelings once it’s gone. The album explores the departure of romance in modern courting (‘Grave of Romance‘) and the ridiculous concept of a ‘Textbook Romance‘. There are definitely some of Jack’s personal demons being exorcised along the way but we’ll leave it up to the listener to decide how much if it is him and how much is poetic license.